What Happens When You Enter the Witness Protection Program? He had good reason to be incredulous. For Franzese, a member of one of the “Five Families” of the New York mafia, extorting a small business owner represented low-level crime. An associate wearing a wire would later record Franzese discussing the best way to commit murder: he would cover his fingertips with nail polish, wear a hairnet, and dismember the body so that he could run it through the garbage disposal. Shur suggested that the owner “did not really have a choice.” Only by testifying could he protect his business. But the owner did have a choice, and not crossing a high-ranking mafia member seemed the wiser course. While frustrated, Shur could understand the decision. His own father, a worker in the garment industry and a trade group leader, had learned to accept the mob’s presence; several gangsters attended Shur’s bar mitzvah. Shur’s office also contained gruesome photos of some of the 25 government informants killed over the past five years. Witsec: Inside the Federal Witness Protection Program is a rare insider's account of the Witness Protection Program, and the book begins with this story of Gerald Shur’s unsuccessful attempt to charge Sonny Franzese with extortion. Shur would go on to found the Witness Protection Program, also known as WITSEC for “witness security,” and earn the title “father of WITSEC.” Shur, who is now retired, is a co-author of the book, but it is not a memoir. Co-author Pete Earley, the author of several books on crime and espionage, casts Shur as a central character. One can’t help but wonder whether Earley’s positive take is shaped by his access to Shur and, in turn, to insider information. Yet Earley makes clear that he approached the subject with a critical eye, sharing criticism of Shur like the witness who called him a “small man with a small mind and a God complex” as well as controversy surrounding a relocated witness who went on a crime spree. So while the book may not be perfectly objective, it is not the typical, self-congratulatory memoir penned by most politicians and government officials. 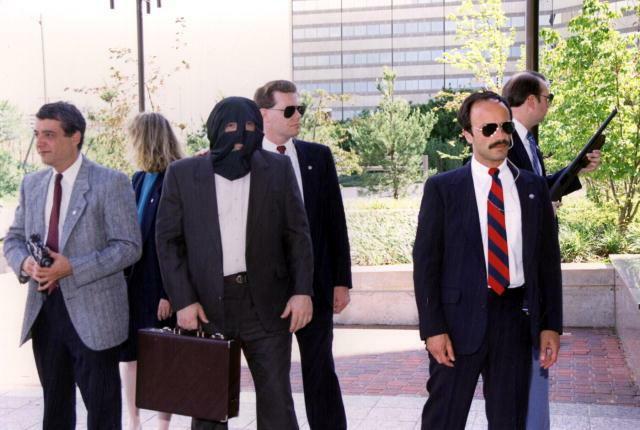 Despite the occasional detour to give a full account of Shur’s career, the book admirably recounts the story of the Witness Protection Program. It is filled with details one might expect, like the time U.S. Marshals snuck a turncoat mobster into a courthouse three days before a trial to avoid hitmen. Equally interesting, however, is the human side of WITSEC. As Shur and his colleagues discovered, keeping the peace between a mobster and his wife proved almost as important to jailing criminals as security details. No one in the program would label it as such, but the Witness Protection Program provides one of the more compelling social experiments imaginable. Would law enforcement consent to helping criminals? Can lifelong lawbreakers earn a living legally when given a fresh start? How does a mobster or gang member maintain self-respect when he becomes a rat? And what is it like to indefinitely live a double life? When a witness decides to enter WITSEC, U.S. Marshals immediately arrive at his or her home to whisk the witness away. Even when the witness is already in custody, agents come for the family. Early in WITSEC’s history, Shur expanded the program to protect family members as the mob reacted to testimony by killing witnesses’ families. Parents, spouses, children, siblings and even mistresses are all taken to an orientation center in a Washington suburb. Some are prepared and wait for the Marshals with small bags; other surprised families leave pasta sauce still simmering on the stove. The center near Washington is a safe spot for witnesses while they testify; it is also compared to Ellis Island as it is where informants prepare for their new life. Families don’t choose where to live as they may have told friends that they’d like to live there, but witnesses may get to choose one of several prepared options. Only around four government officials will know where they choose. At the same time, administrators work to make that new person exist. Whereas in WITSEC’s ad-hoc early days, marshals would sometimes forge documents themselves, witnesses and their families now get (legally sealed) name changes and receive new social security cards, birth certificates, and drivers licenses. (The relevant government agencies often produce the documents grudgingly.) The program also works with doctors and school administrators to transfer medical records and report cards; Shur recounts that he refused several requests to improve a child’s grades. U.S. Marshals provide security to make sure that witnesses survive the witness stand, but once testimony is over, witness protection is essentially a glorified plane ride or bus ticket. When designing the program, Shur decided against a constant presence of guards. Cost was a factor, but with the assassination of President Kennedy a recent memory, anonymity seemed the safer bet. “We weren’t dealing with sophisticated KGB spies,” Shur tells Earley, “we were dealing mainly with New York metropolitan area mobsters, and many of them had never stepped outside the city.” Some of America’s most notorious criminals currently commute to work from small houses in Anytown, USA, that the U.S. government helped them afford. As some 95% of WITSEC witnesses are criminals, according to Shur, the Witness Protection Program also has a parallel system for prisoners. Many criminals serve no time in return for their cooperation, but others serve reduced sentences. Since putting witnesses in the general prison population could easily allow criminal organizations to reach them, select prisons contain isolated prison cells for protected witnesses. Nevertheless, witnesses receive a fairly spartan deal. Shur notes that imprisoned witnesses have slightly larger cells, but otherwise live in more austere conditions than normal prisoners due to the social isolation that guarantees their safety. Relocated families receive a stipend (perhaps a few thousand dollars a month for a family) that is phased out after witnesses have time to look for a job. They also get funding to pay for housing and other basic expenses, but except in the case of witnesses like Fratianno, it is enough for a basic apartment and used car. Since the government refuses to provide a fake credit history, witnesses also struggle to secure products and services when companies demand financial information. In the 1960s, even as Shur was helping to relocate witnesses, the Witness Protection Program did not yet formally exist and no law authorized the government to relocate witnesses. Shur used Department of Justice funds usually spent on expert witnesses and travel. More importantly, it was unclear whether law enforcement’s apathy about helping criminals would doom the initiative. But like a crime drama where proximity leads cops and lawbreakers to find common ground, marshals who embraced their assignment came to play an intimate role in witnesses’ lives. One time, law enforcement passed around a hat to raise money to help a witness relocate. When Shur got one witness a newspaper subscription so that he could follow horse races, the mobster reciprocated by sharing a spaghetti recipe. Shur noted this as well. After a life of crime and loyalty to criminals, becoming a despised rat stole witnesses’ self worth. One mobster-turned-informant asked Shur over and over, “What I did was right for America, wasn’t it? Didn’t I do a lot for America?” In the search for a new role, some witnesses even began to identify with law enforcement. One surprised wife of a former criminal recounts in WITSEC how she was surprised to hear her husband describe himself and the agents interrogating him as we, as if he were a cop. The focus of WITSEC, and law enforcement from the 1960s to 1980s, was fighting the mob. Shur hoped that the promise of safety in the WITSEC would be enough to get members of the mob to turn against their own. At the time, it was far from obvious that it would succeed. The number of men and women who entered WITSEC speaks to the success of the idea. Shur originally estimated that 10 individuals would enter witness protection each year. By 1970, a gangster asked for protection every week. The U.S. Marshals have relocated 8,500 witnesses since the program formally began in 1971. The main reason for this is that the marshals succeeded in keeping witnesses safe. Although a number of people were killed after they voluntarily left WITSEC, either by going home or otherwise breaking its rules, the service says that no one who has stayed in the program has ever been killed. When the first mobster informant testified before Congress on the methods of the mafia in 1963, it provoked a sensation. Law enforcement’s efforts culminated in the 1985 Mafia Commission Trial that incarcerated the heads of New York’s five major mafia families and several other mob figures. Today the mob is generally considered a shadow of what it once was. 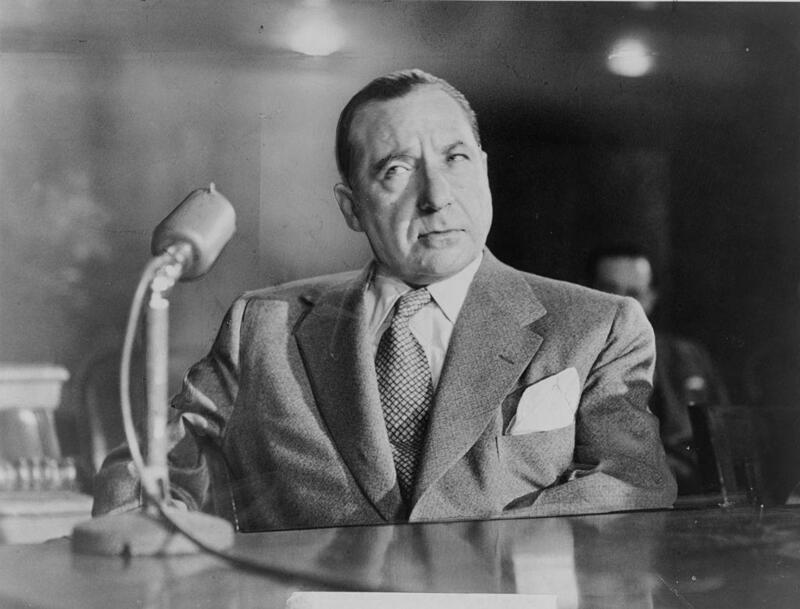 In WITSEC, Earley notes that experts credit three factors for allowing law enforcement to bring down the mob: the Racketeer Influenced and Corrupt Organizations Act, which allowed mob bosses to be charged with leading criminal enterprises despite not committing crimes themselves, the use of wiretaps to gather evidence, and the utility of the Witness Protection Program in getting informants to testify against mob leaders. In Five Families, an exhaustive history of the mob, author Selwyn Raab notes that the mafia could withstand determined federal prosecutors, but not the defection of its own members who cut deals and entered the Witness Protection Program. WITSEC was not retired after the mafia’s demise. It continues to be used in cases involving drug cartels, various gangs, and even international terrorism. Several former drug kingpins have joined WITSEC after putting rivals and allies in prison. 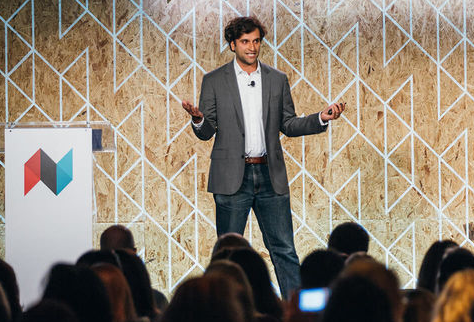 An Egyptian-American who told his story to the Kansas City Star testified against several perpetrators of the 1993 World Trade Center bombing after one asked to rent one of his vans for the attack; his story came to light when the witness became a fan fixture known as Helmet Man at Kansas City Chiefs football games. Less information is available on the utility of the Witness Protection Program against modern crime. Certainly we no longer see high profile testimony from witnesses going into the program like America did in the 1960s-1980s. For his part, Earley writes in WITSEC, “It is difficult to find a major criminal case, whether it be the Watergate scandal or the 1993 World Trade Center bombing, where WITSEC witnesses have not played a pivotal role.” Perhaps the best evidence for the continued role of the Witness Protection Program is that since the 1980s, dozens of countries have come to the United States to learn from its WITSEC program. The Witness Protection Program does face new challenges since its mob heyday and the period described in WITSEC (Shur retired in the 1990s). The first that most consider is the impact of the Internet. Even if it still seems ordinary for an adult in a small town not to use social networks, risk is amplified by the increasing number of digital traces our lives create. In addition, companies and organizations now have much higher expectations for finding a paper trail (or digital record) for any individual, making it harder to create a credible new identity. But if the U.S. Marshals Service is struggling to keep identities hidden in the Internet age, it’s not a problem the agency is discussing publicly. Witness protection’s success in bringing down organized crime also appears to have made it more difficult to protect future witnesses. Whereas the mafia consisted of large, hierarchical organizations that followed clearly defined rules, the gangs that law enforcement target today are less predictable and consist of a larger number of dispersed organizations. The challenge is not to protect a few witnesses who can finger a few powerful mob bosses, but to protect a large number of witnesses who can testify against the many, many gangsters that wield much less power than the head of an old mafia family. So, law enforcement has established a number of witness protection programs on the county and city level. Lacking the resources and expertise of the federal program, however, they usually do little more than get a witness out of town until the defendant goes to prison. They do not provide new identities and rarely offer enough assistance for witnesses to restart their lives in another location. As a result, the new programs have been criticized for leading to witnesses’ deaths. Life for relocated witnesses has proven remarkably safe. Despite making headlines while testifying, several former gangsters have died of natural causes, unrecognized, with multimillion dollar bounties on their head. 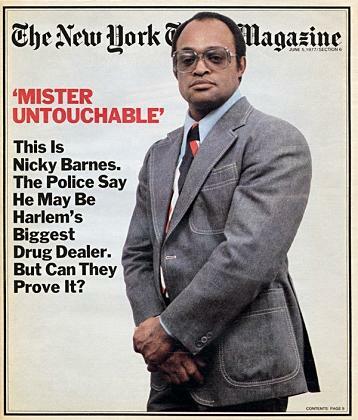 Nicky Barnes, a black drug lord who infuriated law enforcement and even President Carter by appearing on the cover of New York Times Magazine as if he were invulnerable to prosecution -- and later joined the Witness Protection Program -- recently revealed that he lives in a small, mostly white neighborhood. His biggest problem is making rent. Many witnesses still live in fear of being discovered and worry about a child letting slip their identity. Yet the hardest part of witness relocation, and the reason Shur refers to WITSEC as a “program of last resort,” is the way it seems to permanently alienate witnesses from both the rest of the world and themselves. In a personal account published in WITSEC, one witness reveals that she “used to feel there was a deputy following me with a broom sweeping up any evidence I was here.” (Marshals will re-relocate witnesses whose cover is blown.) When witnesses enter the program, stern administrators keep them from taking anything that reveals their identity: family albums, diaries, even pictures and notes drawn by kindergarteners for witnesses’ kids. Worse, witnesses’ memories seem equally off limits in their new life. One relocated family, speaking to the New York Times in 1996, describe getting coaching from a WITSEC employee on how best to change the topic when people ask about their past. Unable to share anything honestly, witnesses struggle to make friends. The witness’s spouse profiled by the Times made one friend in a year and a half in the program who she didn’t call because she feared being asked about her life. "I can't really get close to anyone,” she relates, “be really personal with them.” A number of witnesses describe talking with family, who know their full identity, and the rest of the world, which does not, as switching between two different worlds. Some talk about themselves under their prior name in the third person. When Shur and his wife had to go into hiding briefly due to a threat on his life, he too experienced the burden of constant lying and missing family events. The Marshals Service facilitates communication between relocated families and some of the friends and family they left behind, but only in exceptional circumstances do people in the Witness Protection Program ever see them. Nor can they ever return home. Several witnesses have left the program and its protection -- and even been murdered as a result -- simply out of a desire to return to the place they used to live. In 1981, Charles Pearson, a resident of Rio Rancho, New Mexico, killed his wife and then went on a crime spree. He robbed banks and convenience stores, and he took hostages and killed them. When law enforcement discovered Pearson’s past, they were furious. Pearson was an alias for Marion Pruett, and he had entered the Witness Protection Program after testifying against a high ranking criminal about the murder of his cellmate. (Pearson had served time for a bank robbery.) Following standard policy, officials at WITSEC did not alert law enforcement to the presence of a former criminal and protected witness, nor did they reveal Pruett’s identity to local sheriffs after the discovery of Pruett’s wife’s body. In defending the program, leaders of WITSEC pointed out, among other exonerating factors, that Pruett would have been paroled even without entering the program and that knowing his identity likely could not have prevented the murders. But the Pruett situation always represented a potential outcome of what can easily be seen as an insane idea: placing former criminals, many of them feared mob bosses, drug lords, or hitmen whose testimony allowed them to avoid prison, anonymously in small towns across the country. It’s not hard to understand why. When members of America’s nearly 2.5 million strong prison population finish their sentence, a number of obstacles stand between them and a normal life. With deteriorated skills and the scarlet letter of a prison sentence, finding employment can be impossible. Many prisoners also leave prison hundreds or thousands of dollars in debt to the state for court fees and the expense of being supervised by the state. A criminal record can also keep individuals from receiving public housing or assistance like food stamps. And returning to an old environment can make it easy to fall back into crime. Shur and his colleagues, however, recognized that helping witnesses achieve a stable living would help keep them safe. It is also a responsibility WITSEC promises witnesses in exchange for their testimony. So, government employees devote themselves to rehabilitating people who (95% of the time) are former criminals, often with very ugly pasts. The program provides living stipends for the transition and helps pay for housing. A WITSEC inspector checks in regularly with families, often talking every week, teaching former mobsters or gang members basic financial literacy and other skills. Some even become an uncle type figure to the witness’s family, especially as the inspectors alone know their past. Sometimes inspectors can even invest in the family, like one inspector who secured funding for a used car for a family that needed one to get to a new job. A new identity, which so many relocated families struggle with, also has the benefit of giving witnesses a truly fresh start. The aforementioned New York Times profile relates one success story. The witness’s wife, Devera, describes how powerful it was choose furniture for their new home. Away from the environment in which he sold drugs, the witness, Brewster, excels at saving part of his paycheck from the job the relocation officer helped him find until the two can afford a 3 bedroom home. As of the article’s publication, the couple were both members of the parent-teacher association, and Brewster coached young kids on the dangers of drug abuse. The Witness Protection Program is an imperfect data point as a rehabilitation program. The Marshals Service reserves the right to throw witnesses out of the program if they commit a crime, so witnesses have a strong incentive to play by the rules. It would also be difficult to defend the government treating every released prisoner this way given that so many Americans without a criminal record struggle against poverty every day. But given the success of WITSEC at helping some of America’s most notorious criminals achieve financial independence without committing crimes, which often can mean crime kingpins accepting manual labor jobs, one can’t help but wonder what a difference it would make if the federal government, say, ended the war on drugs and spent that money on prisoner rehabilitation. In popular culture, the Witness Protection Program has an aura of mystery. In laying out its full history in Inside the Federal Witness Protection Program, Earley and Shur share plenty of stories -- about creative assassination attempts, mob parties, and the smuggling of drug cartel leaders across the Mexican border -- of the type that have long captured Hollywood’s imagination. But the real surprises are aspects like the program’s low recidivism rate: the Witness Protection Program as an example of what vigorous government-led rehabilitation could look like, the Witness Protection Program as an example of how our past weighs on our present, the Witness Protection Program as an example of both the salience and liminality of identity. When protected witnesses commit crimes after their relocation, WITSEC officials and employees often ask if they could have foreseen and prevented it. But despite all the interviews and screening every witness and his or her family undergoes before relocation, it seems impossible to know. Our next article explores how two statisticians solved a 150-year-old mystery about Alexander Hamilton. To get notified when we post it → join our email list. Unless otherwise indicated, all quotes and details come from the book WITSEC: Inside the Federal Witness Protection Program by Pete Earley and Gerald Shur. 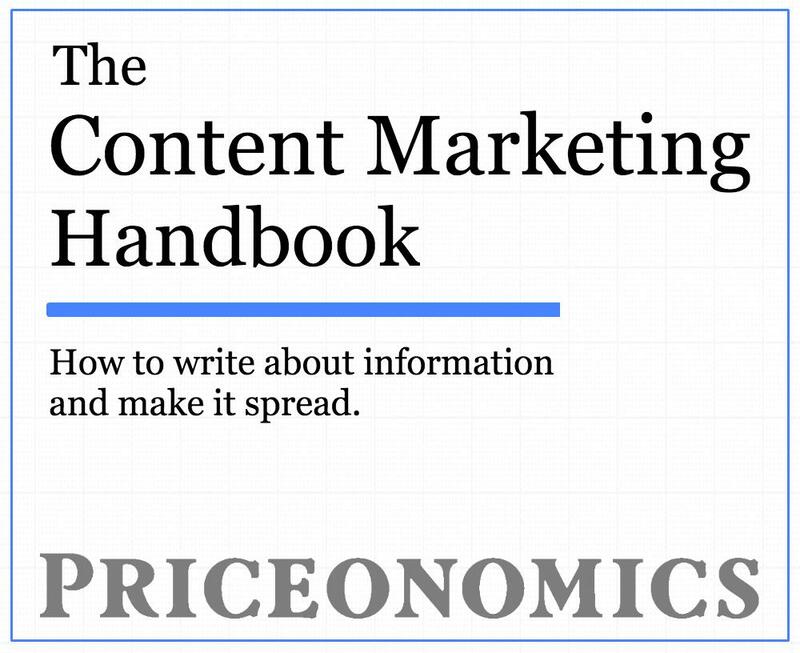 A version of this article first appeared on Priceonomics on August 4, 2014.